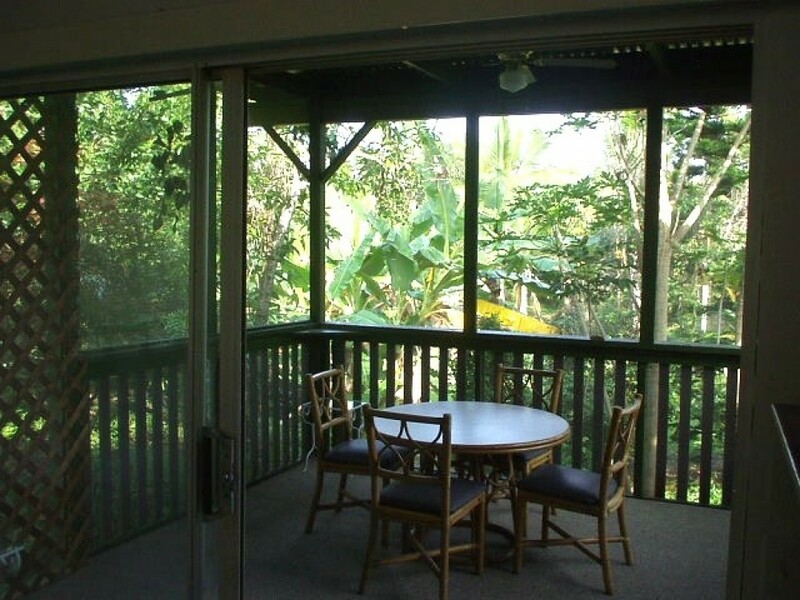 A tranquil hideaway cottage on a secluded corner of a three acre parcel in southern Kona Coast. Located 30 miles south of Kailua-Kona in Papa Bay, right above Miloli'i. Enjoy the Hawaiian country-side in a completely self-contained cottage away from the usual tourist traps. Elevation is at one thousand feet so no need for air conditioning. Ceiling fans are in all rooms to guide the gentle Hawaiian breezes. SuGar Cottage is a seven hundred square foot home that consists of one bedroom with queen size bed, one bathroom, laundry room, kitchen/dining/living room plus a screened in lanai. The living area has a futon that opens into a full size bed. SCUBA DIVERS! As a dive master I will take you out on shore dives. There is no charge for our tours. We provide FREE AIR and WEIGHTS. These services are for our guests only. KAYAKING! We have kayaks available . . FREE! We will provide you with a kayak for your use. Many guests enjoy snorkeling off the kayaks. Lots of great places to explore! SNORKELING! We can show you many locations to snorkel away from the usual tourist places. SUMMER SPECIAL PRICE! $95/night plus 11.42% Hawaiian tax US Dollars. Maximum of four guests. 50% deposit required upon booking. Balance due on or before arrival.Four-Week cancellation notice for a full refund. Minimum two nights. Beautiful property and wonderful hosts! Sugar cottage was beautiful and Gary and Susan were very accommodating. Gary took us diving and snorkeling and was a great guide! We are definitely looking forward to coming back someday! We just wrapped up our fourth trip to Garry and Susan's Big Island hideaway. Another great time...we stayed busy whether relaxing, scuba diving, exploring, eating, shopping or driving around. I highly recommend this rental. For divers and snorkelers alike, you will be dazzled by the water, fish, eels, rays, dolphins and other sea life not to mention Garry's great guiding around the reefs. Book now, before your dates fill up. We'll be back soon for our next adventure! The property had everything advertised and more. 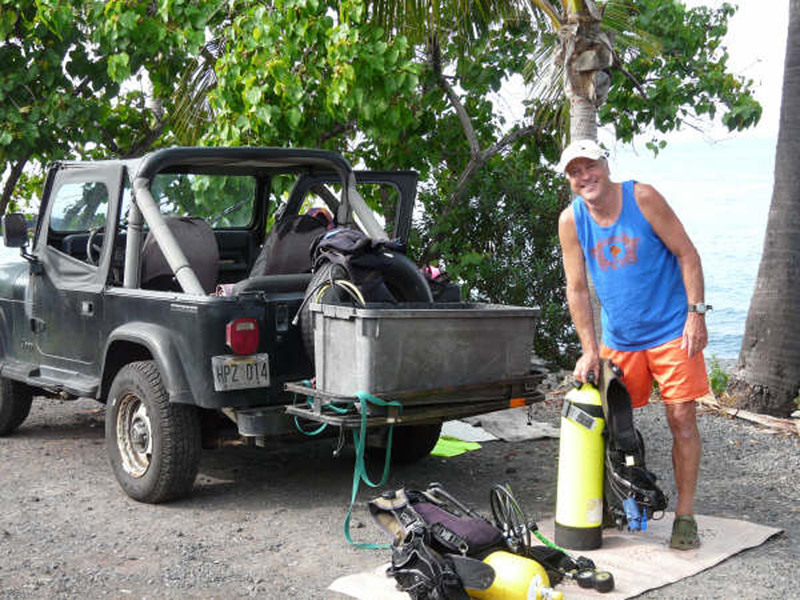 It was really nice to go out diving with Garry, come back, and be able to clean everything. We loved our stay at Sugar Cottage. The property is beautiful and secluded. The cottage is clean, bright and cozy and the kitchen is stocked with everything you would need to cook your meals. Garry is a total gem. He took us for 4 scuba dives at the most beautiful spots. He is so knowledgeable and kind and made everything so easy for us. Scuba divers of any level would be completely comfortable going out with him. We highly recommend Sugar Cottage! My boyfriend has stayed here twice now he loved it so much!